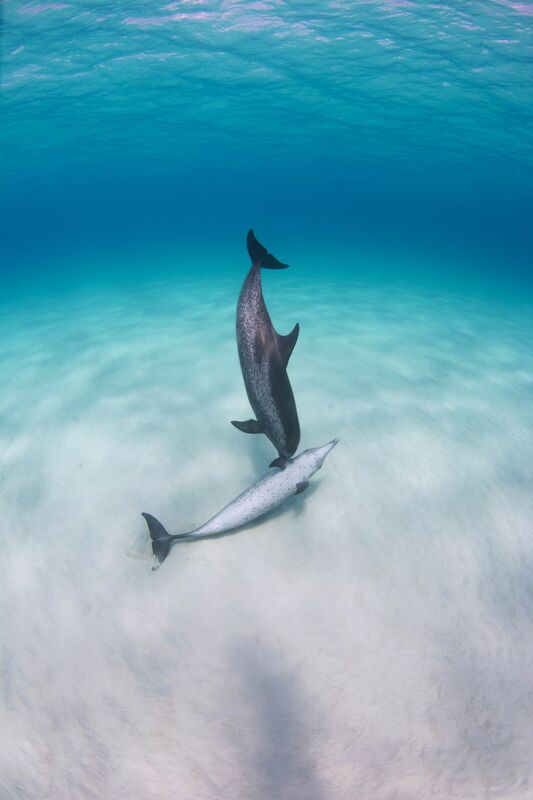 Atlantic spotted dolphins (Stenella frontalis) playfully flirt in the shallow, tropical waters of Bimini, Bahamas. Freediving with dolphins is incredible, especially when they accept you as part of their pod! It was a magical moment watching these two play as one stroked and brushed the others fins, belly, head and more! 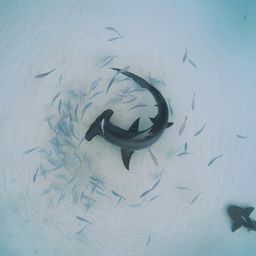 Such wonderfully playful and fun mammals, it was an honor to dive and learn with them. Date Uploaded: Oct. 29, 2017, 10:48 p.m.